Whether you’re moving to start a new job, to spend more time with your family, or just for a refreshing change of pace, the process of moving from NJ to Richmond can be stressful. To make your challenging transition easier, choose an experienced moving company that’s equipped to handle your every need—a company like Simonik Moving & Storage! Since 1977, we’ve provided dependable professional moving services for individuals, families, and businesses alike. As a BBB-accredited company, we’re committed to the highest levels of customer service for every move we complete. 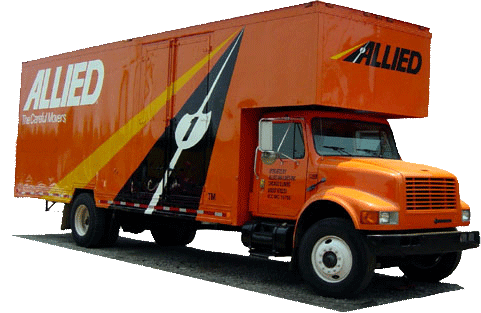 And because we’re an award-winning agent of Allied Van Lines, we have the nationwide partnerships and industry expertise to manage any household move, anywhere in the country. When you’re moving to Richmond from New Jersey, it’s important to choose a moving company that can handle your every need, no matter how big or small. To better understand your unique requirements, a Simonik moving expert will visit you in your home for a free estimate of your total moving costs. We’ll continue our high levels of customer service by assigning you an experienced Relocation Coordinator who will answer any questions and make you feel comfortable until the very last box is delivered. To make your move from New Jersey to Richmond as convenient and stress-free as possible, we’re also proud to offer a host of short- and long-term storage services. We carefully pack every household item in containers specially designed for long-distance shipping. If you realize that you’d like some additional time before receiving your belongings in your new home, just let us know! We’ll happily store these containers for you in our highly secure warehouse facility for any length of time. For many decades, Simonik Moving & Storage has been proud to serve households throughout North and Central Jersey, including Hunterdon, Mercer, Middlesex, Monmouth, Morris, and Somerset counties. As a past winner of the “Mover of the Year” award, our excellence in professional moving has been recognized by the New Jersey Warehousemen & Movers Association. Because we’re a ProMover with the American Moving and Storage Association, we’re always up to date on the latest technology and requirements for conducting long-distance moves like your move from NJ to Richmond. Are you ready to relax and let an award-winning team handle your household move? Give Simonik Moving & Storage a call today to learn more about our flexible moving services! To get started right away, complete our quick online quote form to request a free NJ to Richmond moving estimate.